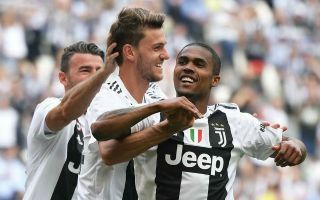 The father of Juventus defender and Chelsea transfer target Daniele Rugani has seemingly dropped a major hint that his son could be heading for an exit. As noted by Goal.com, the 24-year-old was touted as a €50m target for Chelsea this past summer, but a move to Stamford Bridge evidently didn’t materialise. Tipped to have a big future in Turin, Rugani has suffered more frustration so far this season as he’s made just three appearances in all competitions. Given the return of Leonardo Bonucci this past summer and the ongoing presence of club stalwarts Giorgio Chiellini and Andrea Barzagli in the squad, Rugani has remained down the pecking order and it’s difficult to see his situation improving any time soon. In turn, it’s no surprise if he and his family are feeling that frustration, and although it isn’t a direct suggestion that he will seek an exit and potentially get one next year, his father’s comments have been interpreted as being an exit hint in the report below. “There is no need to say anything, this face explains everything, but soon it will be history, and we will take back, with interest, all that he deserves. Vamos DR24, for me, on my life, the best Italian defender,” he is quoted as writing on Facebook by Calciomercato. Perhaps it was an innocent post suggesting that his father has faith in his ability to eventually make his breakthrough in the Juventus line-up and ultimately stay there. Nevertheless, it could be enough to alert Chelsea and keep Maurizio Sarri interested, as with the likes of David Luiz and Gary Cahill ageing and on expiring contracts, a move for Rugani could be an ideal long-term solution for his backline. Further, the Italian tactician knows him well from their time together at Empoli, and Rugani seemingly does fit the bill for Sarri when it comes to providing defensive solidity as well as composure and quality in possession too.